PhilTonks2: Ticket To Ride: Is The Price Right? Ticket To Ride: Is The Price Right? Start a discussion on the price of bus or train tickets and you’re guaranteed all sorts of opinions. The popular press like to use strong, emotive phrases such as “eye-watering” to sell their papers, and there is a huge, underlying suspicion that those companies involved in running our buses and trains are profiteering, in much the way they suspect other public utilities are. In Britain, much is made of the cost of peak-time walk up fares on the railway. It’s true to say that, particularly for those that don’t use the mode very often, the price is often astonishing. Yet, whilst the general impression is that we have “the most expensive train fares in Europe” (cue the usual list of media suspects, especially when the fares go up again soon) far less is made of the fact that we also have some of the cheapest fares in Europe. Yes, you have to be quite flexible in your travel arrangements and trawl around the internet a lot, but I often get a £6 single via Chiltern Railways from London Marylebone back to Stourbridge Junction. A two mile taxi ride from Stourbridge back home will cost me more than that! Yes, there’s a lot to be done to simplify the way we make online bookings to make the process easier, but the fact is that, whilst our eyeballs might bulge at some fares, we can barely believe the cheapness of others. On buses, fare prices are always a talking point – but often for unfair reasons. In the West Midlands, you’ll usually pay £1.90 if you hop on a bus for a single fare. More raised eyebrows, particularly amongst non-regular users. But actually, the West Midlands has, traditionally, some of the cheapest fares anywhere in the country. Maybe the bus industry should do more to directly compare the price of its fares to a similar journey, say, by car. £1.90 actually gets you a good distance – Birmingham to Wolverhampton, Dudley – Stourbridge, for example. How about comparing that to what a car journey might cost if you throw in everything involved such as fuel, tax, insurance, maintenance, etc? There is always a feeling that “once you’ve paid for it”, the car doesn’t cost anything more. And I often hear the argument that people prefer their own space. Common views, but as our roads get more and more congested, none of us are going anywhere fast – the bus is increasingly going to provide the answer to much of this, and the industry needs to increasingly spend time consistently maintaining and improving the “offer” – and this includes how much it costs to ride. Far from the afore-mentioned feeling of profiteering on the part of the operators, running buses these days is an ever-increasing challenge for the bean counters. Costs are ever increasing and subsidies are ever reducing. If running buses was ever a cash cow, it certainly ain’t now! A friend maintains that, if bus operators would only drop their prices, all of their problems would be solved. A simple solution, on the face of it. A bit of supermarket pricing policy in the bus world? If Sainsburys offer tins of spaghetti at half price, is there a mad battle around the spaghetti stand? Half price bus journeys resulting in queues to get on? What about supply and demand? Bus operators have seen this effect before with the introduction of concessionary passes. Buses full, bums on seats, but swelling coffers? And what if there is a need to provide more buses to cope with demand? Is the resource there? Will the cost of operating the second bus make the whole process worthwhile? OK, maybe the concessionary pass example isn’t the best to use. Operators aren’t getting the full single ticket price as reimbursement for carrying the concessionary pass holder for a start, but in the world of bus operation – and particularly smaller operators – life is difficult at the moment, and every penny counts. One small operator in the West Midlands has told me that they are not yet willing to join the new “Swift” Smartcard system because of concerns about reimbursement. This has to be overcome – and I have no doubt it will be – but the point is made. There is some interesting research by UITP – the International Association of Public Transport. They reckon that an average reduction of 10% in fare levels brings a 3% increase in patronage. So any reduction in fares has to be got right. For many operators, such a move will be a huge gamble, but First appear to be trying some of this. On some of their Manchester network, fares have been slashed by up to 25%. Is this, perhaps, an admission that they were seen as too high to start with? It will be interesting to see if this move bears fruit. Back at UITP, they have just launched “2025 – PTx2”. 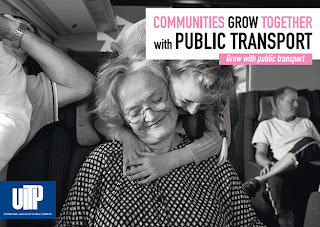 The campaign has laudable aims – raising awareness of the need for more and better public transport. Its stated aim is to double the market share for public transport worldwide by 2025. Given the current state of world finances, this would seem but a pipe dream – not only does this appear to call for major investment, but also to change the mindset of politicians to believe in the potential of public transport more. But – by golly! – this is EXACTLY the type of focus that is needed! 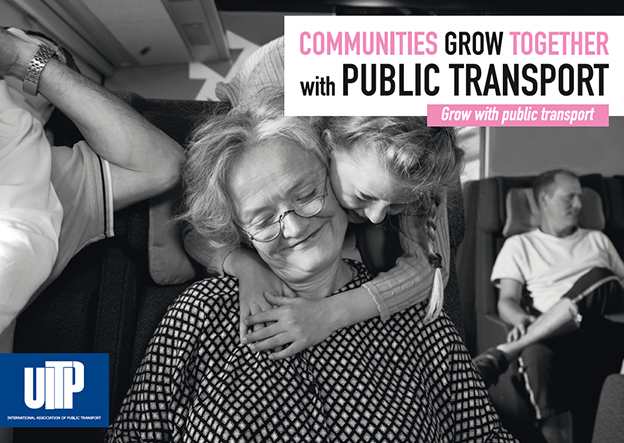 UITP Secretary General Alain Flausch says “with this campaign, we want to change the perception of public transport from a necessary evil to a preferred choice”. Perhaps surprisingly, in stark contrast to First’s move, UITP is suggesting RAISING fares. It argues that “providing better quality through charging higher fares brings more customers, and more revenue, to public transport”. But are people willing to pay more for a higher quality service? On the railways, the vexed question of “First Class” amongst the “masses” always raises a viewpoint. There are those who would see First Class dropped and everyone travel as one. Yet Chiltern Railways reckon their “Business Zone” (wider seats, more legroom, etc) is going well. Maybe passengers ARE willing to shell out more for extra comfort on longer journeys, but the equivalent on buses? UITP’s suggestion is to raise the fare little and often, to create financial stability. Would this work in Britain? The media are quick to latch on to fare increases, especially if they happen more than once per year. In the West Midlands, we see the bus fares go up, usually, once per year. It makes the front pages and sends out a negative image – often unnecessarily – of the local bus service. Improving quality is, without doubt, a vital goal, and whilst I see the logic, I’m not entirely convinced that such an idea will work. I’m also intrigued to see whether First’s “opposite” approach of lowering fares is also a worthwhile model. Of course everyone wants things cheaper, but ultimately, will the figures stack up? Will the way we actually physically pay for journeys have an effect as we move to cashless systems more and more? Handing over £1.90 to a bus driver in coins is a powerful thing. If you had to do that every time you got behind the wheel of a car, would motorists feel differently about things? What about, in the future, if we flipped the scenario on its head? Motorists paying to use roads in a very physical sense, and public transport users using smartcards that don’t require the jangling of coins, but a mere swipe of a card. I feel free in London with my Oyster card. Much more than in most other parts of the country. Of course I am still paying for my journey in some form, but it feels different. Smartcards are really going to change attitudes about travelling using public transport. And if those journeys are cheaper than by physically paying cash (as they are in London), you feel like you’re getting a bargain too! My view is that public transport needs a much more level playing field. Priority on the road wherever possible, easy to use, attractive, competitively priced, and, ultimately, a distinct advantage over the car. The actual price of using public transport needs to be seen clearly in context to motoring. The quality aspect as mentioned by UITP is also fundamental. We’re seeing new buses aplenty in the West Midlands, for example, and these are very welcome, raising the image bar. But keeping them, and existing older vehicles presentable is something that needs continuous work. Pleasing as it is to see regular cleaning on some buses throughout the day in Wolverhampton whilst buses are actually in service, this needs a huge increase to drive home both the upgraded quality and the actual visibility of someone carrying out the work. It says that public transport really matters, and that the industry is pulling out all the stops to provide that. There is much to be won – and the price of tickets is only a part of the story.